A value wine producer from California. 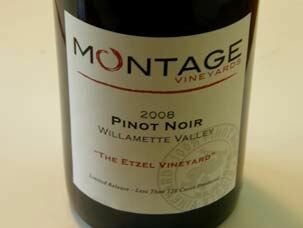 The multiple regional fruit sources led to the name, Montage Cellars, which comes from the idea of a layering of different flavors. 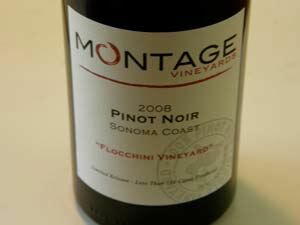 A Pinot Noir was released from La Cruz Vineyard in the Sonoma Coast (Dede's Delight) in 2007 ($24.95), and from Flocchini Vineyard ($24.95) in the Sonoma Coast and Etzel Vineyard ($24.95) in the Willamette Valley in 2008. The winery is not open for tours or tastings. The wines are available through an online store and Wine Club members save 20% on all wine purchases done online. There is some retail distribution as well.